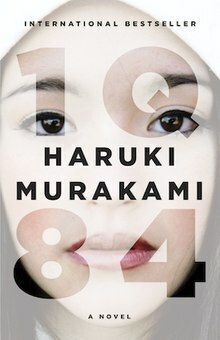 ^ "Third book of Murakami's bestselling novel '1Q84' to be released in April". Mainichi Daily News. January 2, 2010. Archived from the original on February 21, 2010. Retrieved April 24, 2014. ^ Wada, Akiro (October 27, 2010). "Translator sees U.S. influence in Murakami's humor and writing style". Asahi Weekly. The Asahi Shimbun Company. Archived from the original on October 29, 2010. Retrieved April 24, 2014. ^ a b c d e "HKU Scholars Hub: HKU Libraries Thesis Online Copyright Acknowledgement" (PDF). hub.hku.hk. Retrieved October 4, 2015. ^ Anderson, Sam (October 21, 2011). "The Fierce Imagination of Haruki Murakami". The New York Times. Retrieved February 22, 2012. ^ Hartnett, Kevin (November 2, 2011). 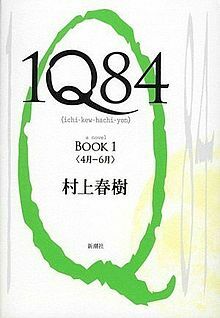 "1Q84". Retrieved April 24, 2014. ^ Janet Maslin (November 9, 2011). "A Tokyo With Two Moons and Many More Puzzles". The New York Times. Retrieved April 24, 2014. This page was last edited on 8 April 2019, at 11:42 (UTC).